You know, The One to wow your friends with at Thanksgiving. May-be. This pie is more Rheese Witherspoon/Jennifer Garner than J-Lo. It’s beautiful in a comfortable, likable, companionable way that doesn’t threaten or challenge your eaters. Rustic Apple-Pumpkin pie needs no entourage; she will carry her own bag, thank you very much. 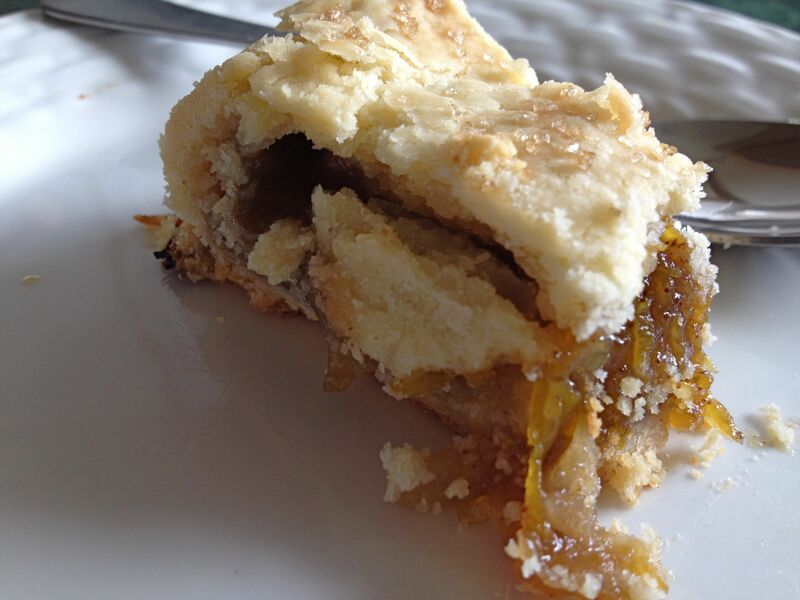 I know I’m odd – I like apple pie, but I don’t LOVE apple pie. I think it’s because usually, it’s just too apple cinnamon-ey which is just not my fave. 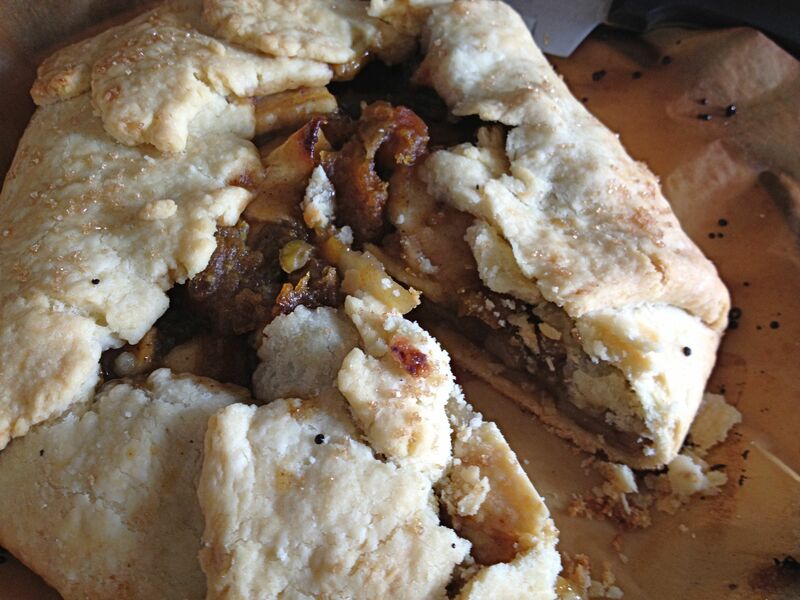 The addition of roasted pumpkin strips to this pie pushes the apple sweetness into richness without tasting pumpkin-ey. 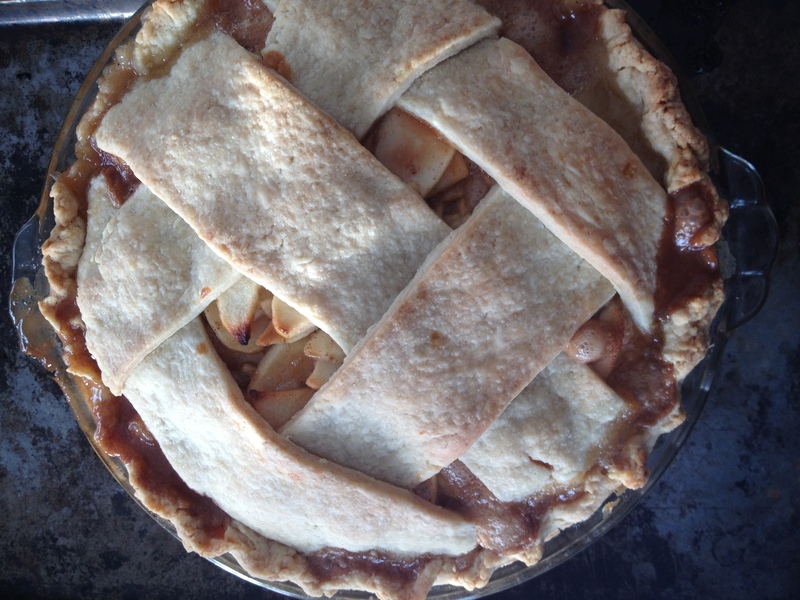 And, the brown sugar and bourbon or rum keeps it sweet and spicy, but in a slightly different way than typical apple pie. Whoops – is it a spoiler alert if you call it after you’ve already spilled the beans? Check out the printable recipe here. 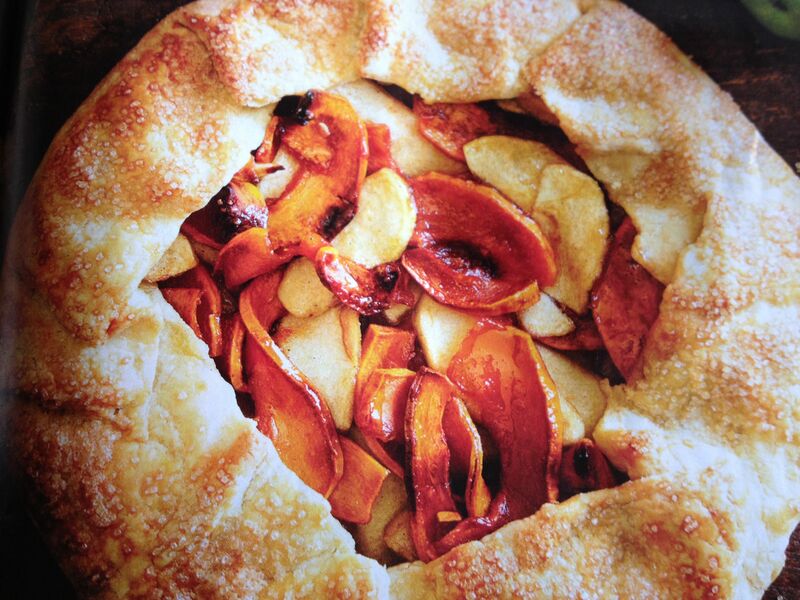 If you’ve been reading for any time at all, you know I am a fan of the rustic pie – galette in fancy-foodie speak. No pie plate requiring a return, interesting and unique presentation, and best of all, the ability to add liquids after the baking is complete. Why would I want to do that? If you love intensely rich fruit flavor, and dislike gelatin-ey, tapioca-ish thickened fillings, a rustic pie allows you to use the magic of maceration and reduction to make your filling unlike any other. Don’t let me wander off topic with the dreamy maceration/reduction talk. If you want more of that, go here. This particular pie doesn’t require either – I’m just saying that for many pies made with juicy fruits, the maceration/reduction one-two punch is the reason I favor the rustic open crust approach. Of course this is all part of pumpkinpalooza 2012 where I use up the New England Pie pumpkins I grew myself and figure out whatever to do with all that puree…. 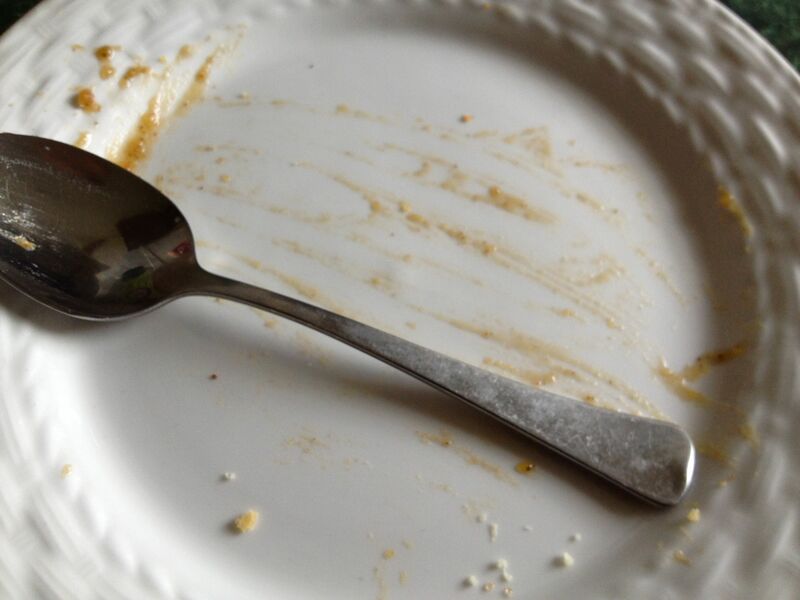 is it bragging if i say myself it was plate-licking good? Sounds lovely! I feel the same way as you about straight apple pie. I’ve never made a pumpkin pie – in the UK people mostly use pumpkins for halloween decorations and throw away the inside! I usually make pumpkin soup but your pie looks delicious so I’ll have to try it. That’s pretty much the way it is here too Anne. As a result, when you buy pumpkins it’s hit or miss as far as the taste and texture goes since their main value is decorative. That’s why I like the New England Pie variety. It is small, but very pretty and carvable as well as tasty. Mmmmmmmmmm. Love the rustic pie myself (although I think you knew that). Cheesecake is good, I do agree. Do you have a favorite recipe to share Andrea? Filling: Mix 3 packages (8oz each) of softened cream cheese, 1 cup granulated sugar, and 1/4 cup packed brown sugar together in a large bowl until fluffy. Beat in 2 large eggs, 15 oz of pumpkin (1 can), and 2/3 cup evaporated milk. Add 2 Tbsp cornstarch, 1/2 tsp nutmeg (or allspice) and 1 1/4 tsp ground cinnamon. Mix well. Pour the filling into the crust and bake for 55 to 60 minutes (with cookie sheet underneath if needed), or until the edge is set but the center still moves slightly. Let cool slightly on wire rack, before putting it in the refrigerator for 3 at least hours to set. This is by far one of my family’s favorite recipes! I hope you enjoy. I would love to know how it turns out if you try it! Oh wow – that’s a rich one! Sounds delicious Andrea, thank you! It really is! But it’s scrumptious :) We only ever break it out around Thanksgiving and Christmas, so it’s a special treat.